Location - The track is located in the heart of the Paradise Valley which is a convenient 5 minute drive from the city centre. From the north go past the gondola's and turn right at the first big intersection. Go over the weird speed humps and all the way to the end of that road before turning right again. The carpark and track are on your left. Parking - A large parking area caters for most meetings. 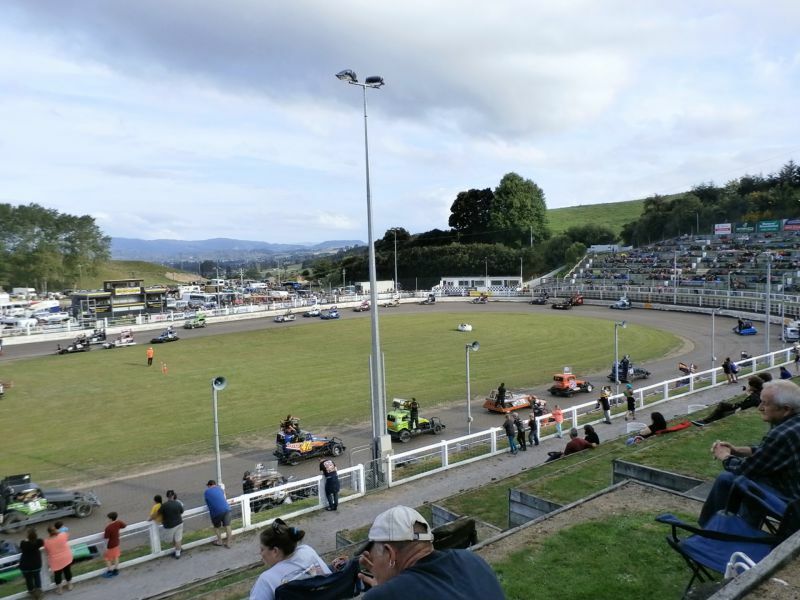 For a big meeting the car park will fill up and fans may find themselves directed to a nearby farmers paddock. To exit the carpark head to the far end (if possible), in the couter-intuitive direction. There is the quickest way to exit the carpark. Premiere Meeting - The World 240's Superstock event is one of the premiere events of the summer. 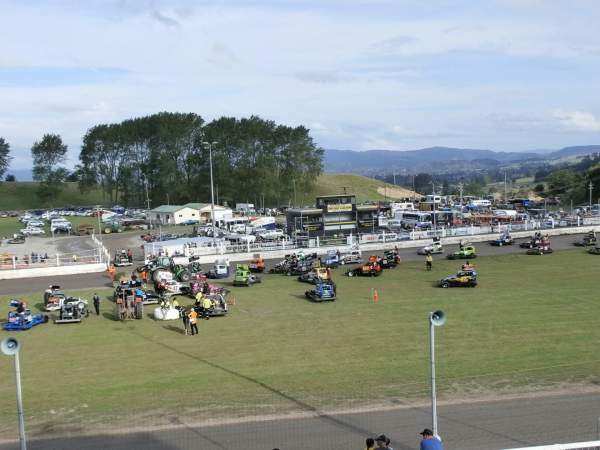 The event typically attracts all the top Superstock drivers. 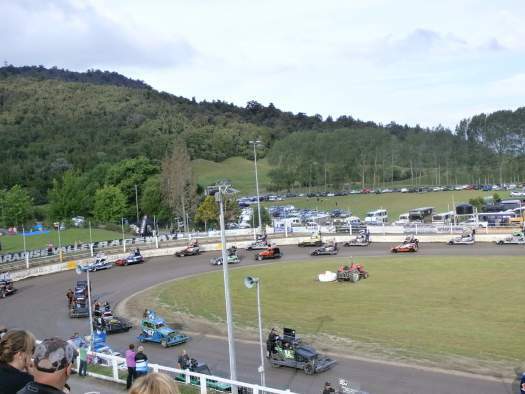 Throw in overseas drivers and the tight Rotorua track and this is one event not to be missed. Get there early for this one folks, the event attracts massive crowds. Also worth attending - The Easter Extravaganza typically attracts very strong fields across all classes. But this meeting is as much known for its inhospitable conditions as it is for the racing. Thermal underwear, woollen socks, beanie's, blankets and sleeping bags are all essential items for viewing this meeting. Best spot to sit - A plethora of great viewing spots are available. 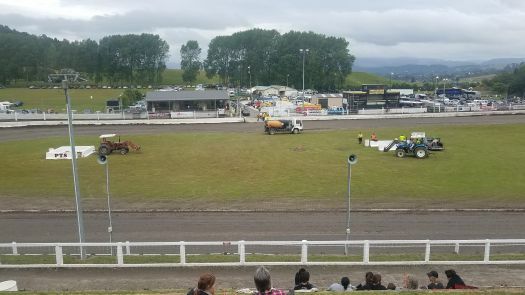 Perhaps the best of them is high up in turn three, way above the action. But such is the angle of the terracing there is not a bad seat in the house. 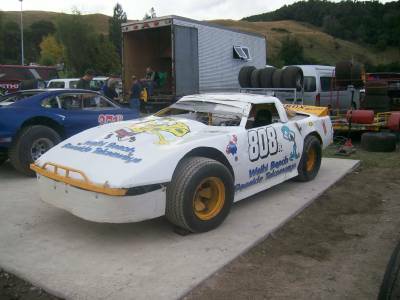 Classes run - Youth Ministocks, Stockcars, Superstocks, Minisprints, Modifieds, Production Saloons, Saloons. Uniqueness - There is nowhere to hide on this track. 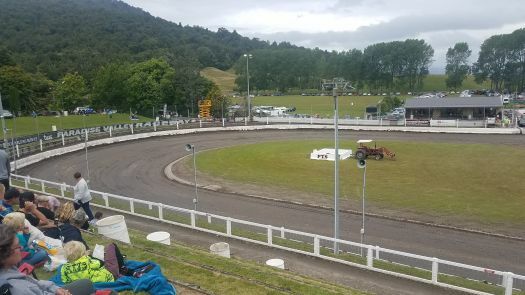 Rotorua is a perilously narrow and short track, making it perfect for Stockcar racing. 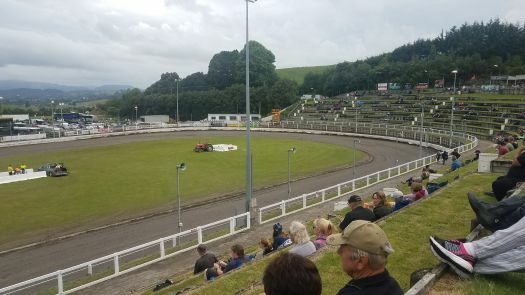 The track is of unique consistency and is perhaps the only track in the country that can be rescued when insufficient moisture is beneath the top surface. The track itself is a tear drop shape with a very tight turn 1/2 followed by a wider, more flowing turn 3/4.